Learn how to encourage your sales team to explore new sales lead generation tactics, complete with examples from the LinkedIn Sales Solutions team. We have come a long way since the yellow pages and rolodex were the two best sales lead generation tools. Today, there is a seemingly limitless number of ways sales pros can generate leads. Modern lead generation is data-driven, social, and infinitely customizable. While the options for sales lead generation have surged, we sometimes limit ourselves to more traditional tactics. Granted, no sales manager actively tries to place limits on how the sales team can generate leads. But there are tactics you can use to ensure your team isn’t leaving money on the table when trying to fill the pipeline with high-probability prospects. Here are a few you can try, along with some of the more successful tactics we use on the LinkedIn Sales Solutions team. It’s easy to focus on the end result when you’re sharing success stories with the team. But each deal started somewhere, and there’s often as much to learn about how the lead was generated as how the sale was closed. Did the lead come from a complaint on social media? Or because the salesperson formed a relationship with another sales pro who sells a complementary product? Did the salesperson meet the prospect at an event and then nurture the relationship? Sharing these stories can help people on your team in similar situations recognize opportunity and act on it. The LinkedIn Sales Solutions team has a “social selling happy hour” where the team can get together and swap stories. It enables the team to talk about their processes, exchange tactics, and share in each other’s victories. Social selling allows your sales team to rely less on marketing so they can become self-sustaining. How do the most effective sellers on your team use LinkedIn to keep their pipeline full? Share how your best team members save leads and accounts, and leverage their Sales Navigator feed to move prospects through the funnel. When the rest of the team sees how these social selling best practices lead to revenue, they will be more motivated to use them. Keeping an eye on your team’s Social Selling Index (SSI) allows you to quickly realize which team members are doing great and which team members could use additional assistance. With Sales Navigator Team Edition, you can compare your team’s SSI to each member’s score. That way, you can see who is pushing the curve and who is dragging down the average. Our team at LinkedIn Sales Solutions spotlights great SSI-related activity by giving a “Profile of the Month” award to the salesperson with the most optimized LinkedIn Profile Page. Salespeople are constantly coming up with innovative new tactics for sales lead generation. You can encourage your team to expand their lead generation toolkit by focusing on one new tactic per salesperson, per month. Once they become proficient in that month’s tactic, add a new one to the routine. Before long, your team will have a utility belt full of tactics they can use to keep the warm leads rolling in. 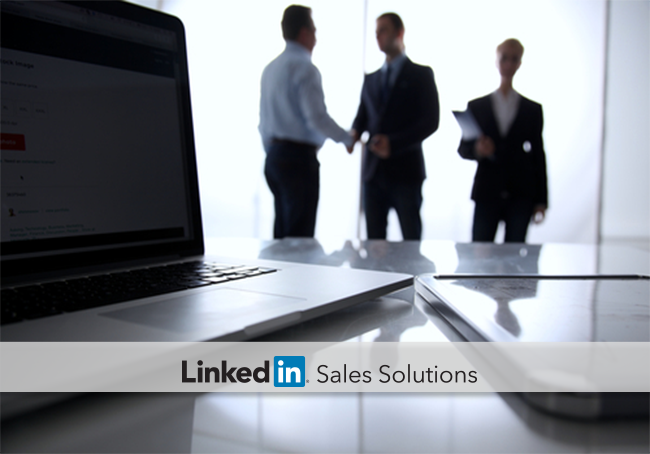 The LinkedIn Sales Solutions team puts a strong emphasis on ongoing training. They are expected to be social selling ambassadors, so it’s vital that they keep up on the latest strategies developed for getting the most out of LinkedIn and Sales Navigator. You wouldn’t move your sales team back to the yellow pages and rolodex. So it’s a good idea to make sure they’re aware of, and are using sales lead generation tactics that are proven to work in the digital era. Your salespeople can take inspiration from success stories, get guidance from the team’s top performers, and continually learn fresh tactics to keep their pipelines full. Encourage your team to generate their own leads, and they will be able to find more opportunities, make more connections, and win more sales. For more on adopting a social selling paradigm to boost your team’s effectiveness, download How to Move Your Team to Social Selling.